How many of you feel safe grabbing a glass out of the cabinet and filling it up with a tap water straight from the faucet to quench your thirst? As it turns out nearly all Americans are concerned about what contaminants could be floating around in their glass, according to the NSF International's most recent nationwide study. People only started regularly drinking purified bottled water in 1977, when Perrier launched a successful ad campaign in the United States. Today, it’s become the second most popular beverage in the U.S. — second only to soda — which has doubled its consumption. 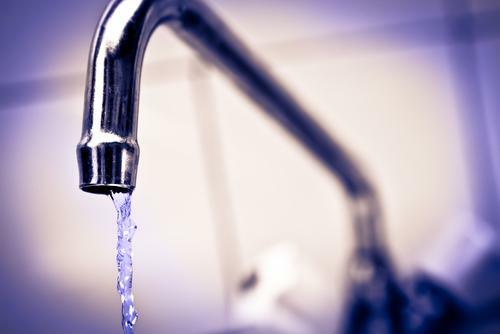 Drinking from the tap concerns 82 percent of consumers, who believe there are harmful health effects from emerging contaminants in their water. Eighty-seven percent worry about water tainted with pesticides and herbicides. The researchers surprising results are a product of evaluating 1,014 adults aged 18 and up through telephone surveys last month. Finding pesticides in ground water is no new phenomenon. Pesticide use has grown exponentially in the U.S. because of an exploding population and the need to supplement that with larger sources of food. We’ve become the largest producer of food products in the world, according to the U.S. Geological Survey, thanks to innovative pesticides used to control insects, weeds, and other organisms that threaten health crops. The chemicals typically seep into groundwater, which 50 percent of the nation’s population drinks on a regular basis. Before the 1970s, it was generally thought the soil acted as a protective filler that cleaned the water thoroughly enough that it wouldn’t affect drinking water. Those notions were wrong, yet clean groundwater isn't considered a national concern. “NSF International’s survey results clearly show that consumers are very aware of and concerned about emerging contaminants in drinking water," NSF International drinking water treatment expert Rick Andrew said in a press release. "While the industry isn’t currently aware of negative health effects associated with trace levels of these contaminants, many consumers understandably want to have the highest quality drinking water possible for themselves and their family. NSF International has developed a standard that tests the ability of home water treatment devices to reduce some of these emerging contaminants in drinking water.” He added that, despite Americans' clear knowledge and documented fear of contaminated drinking water, they continue to practice unsafe drug disposals. Prescription drugs were the second greatest cause for concern when it came to contaminants in drinking water (34 percent), followed by detergents (24 percent), flame retardants (18 percent), and over-the-counter drugs (14 percent). Nearly half the Americans surveyed thought people were disposing of their medications by flushing them down the toilet. Ninteen percent do, however, most just throw them in the trash, according to the NSF. Still, only 28 percent of respondents knew how to properly dispose of their unused medication. If you're part of that 72 percent who don't, remember to bring your leftover meds to a pharmacist, hospital, or clinic. Most offenders of throwing them in the garbage were 18 to 34 year olds, compared to the 55-and-over crowd who usually bring it to the proper location for disposal.